Northwest Connecticut vacations are places to unwind, colonial villages to discover, and museums to stimulate. This region of Connecticut is rich in varied scenery and out of the ordinary shops, where you can spend an afternoon browsing. But when you’re looking for excitement then it’s just a short drive away. Ansonia, Barkhamsted, Beacon Falls, Bethel, Bethlehem, Bridgewater, Bristol, Brookfield, Burlington, Canaan (Falls Village), Colebrook, Cornwall, Danbury, Derby, Goshen, Hartland, Harwinton, Kent, Litchfield, Middlebury, Morris, Naugatuck, New Fairfield, New Hartford, New Milford, Newtown, Norfolk, North Canaan, Oxford, Plymouth, Prospect, Redding, Ridgefield, Roxbury, Salisbury, Seymour, Sharon, Sherman, Southbury, Thomaston, Torrington, Warren, Washington (New Preston), Waterbury, Watertown, Winchester (Winsted), Wolcott, Woodbury. There’s no shortage of attractions in this region, and so let’s get you going on planning your Northwest Connecticut vacation. If you’re an outdoor enthusiast then you’re in for a treat in this region. I’ve concentrated on highlighting a number of day trip attractions where you can leave the noise and bustle of the urban sprawl far behind. Here you’ll discover pastoral countryside, cool mountain-fed waterfalls, and pine-scented forest glades. Weir Farm in Ridgefield is both a place to learn about Alden Weir’s contribution to the American Impressionist movement, and experience first-hand the landscapes that inspired him by strolling the grounds. Session Woods Wildlife Management Area in Burlington features demonstration sites, self-guided hiking trails, and displays. The folks at Session Woods emphasize conservation and provide excellent public awareness programs so we all get to enjoy wildlife, and the benefits of habitat management. Action Wildlife Foundation in Goshen features a 116-acre game park, petting zoo, and museum. You can view 32 species of exotic animals from around the world in the lush green Northwest Hills of Litchfield County. An experience not to be missed on your Northwest Connecticut vacations is their drive-thru safari park. Lake Compounce Theme Park in Bristol has been in operation since 1846, which makes it America’s first family theme park. But the rides are far from old and antiquated! The park contains thrilling up-to-date amusement rides and Splash Harbor Water Park, all in a scenic lake setting. With a healthy mixture of gentle rides there’s something for every excitement level here. Quassy Amusement Park in Middlebury is another ride park on a lake. This one is located on beautiful Lake Quassapaug. In addition to big kid and little kid rides you’ll find paddle boats for the lake, a rock-climbing wall adventure, and a fully loaded Family Amusement Center. Connecticut has not just one museum devoted to its railway… but two! And living up to its nickname once as the “Switzerland of America” you’ll also find two clock and watch museums. These are all entertaining places to visit as well as educational. Now in my humble opinion you can’t say you’ve completed your Northwest Connecticut vacations until you’ve taken a train ride. Call me a train fanatic, (or something worse if you want) but riding a train brings back wonderful childhood vacation memories for me, and a source of novelty for my children today. Railroad Museum of New England is centered in Thomaston. The highlight is the one-hour 20-mile round trip ride from the historic and renovated Thomaston Station. After your ride, take a guided yard tour and see engines and cars that helped make New England the heart of the nation’s industrial ingenuity. Danbury Railway Museum is housed in the historic station and rail yard in downtown Danbury. The museum offers railroad history, rail excursion trips, a collection of original and restored rolling stock, and opportunities for hands-on railroad work. One-of-a-kind railroad items on view include New Haven RR Mack FCD railbus and a fully operating turntable. In the nineteenth century Connecticut’s Naugatuck Valley around the Waterbury and Bristol areas was known as the “Switzerland of America.” Here, many different types of clock products were designed and produced. These next two places offer you a chance to experience and marvel at the skills and art of clock and watchmakers. To remarkable 21st century innovations in an entertaining voyage of discovery. The museum contains plenty of hands-on exhibits, craft activities, and computer interactives. Remember the torture test ads – you’ll be able to see the original versions along with a re-enactment of a watch strapped to an outboard motor in water. American Clock and Watch Museum in Bristol has over 1,500 clocks and watches on display mostly from the period 1800 to 1940. The focus of the collection is Connecticut manufactured timepieces, and is a delight to the senses, as you’ll be surrounded by ticking and chiming as well as a feast for your eyes. The museum is open during the busy Northwest Connecticut vacations season between April – November. It’s difficult to categorize these next few Connecticut museums… so I won’t. But invite you during your Northwest Connecticut vacations to take a brief detour, and spend time discovering these unusual collections of antiques, and reminders of Connecticut’s rich past. The New England Carousel Museum in Bristol is home to the largest antique carousel collection in the country, and regularly works with local carvers, painters and restorers to prepare new carousel pieces and demonstrate the art of the carousel. You’ll discover brightly painted carved horses and chariots shimmering with encrusted glass jewels. The same building houses The Museum of Fire History, and fine art galleries containing collections of local artists. The Connecticut Antique Machinery Association Museum in Kent features a large display of steam and gas tractors, a hall with working steam engines, and a narrow gage railroad. 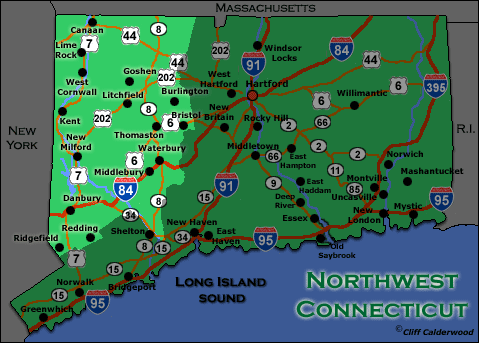 The natural resources of Connecticut, and in particular the Iron Ore extracted out of the Litchfield Hills, led to this area being a key industrial center for the nation. The museum has seven main exhibit areas and includes early internal combustion and steam engines, late 1800’s agricultural equipment, and a special exhibit on mining and mineral science. The Military Museum of Southern New England at Danbury was originally conceived to focus on Tank Destroyer units of WWII, but due to generous donations the museum has accumulated over 10,000 artifacts. These can be seen in four galleries that include 37 exhibits of anti-tank guns, armored cars, anti-aircraft guns, tanks, and infantry fighting vehicles. The museum collection is a vivid reflection of American military history. 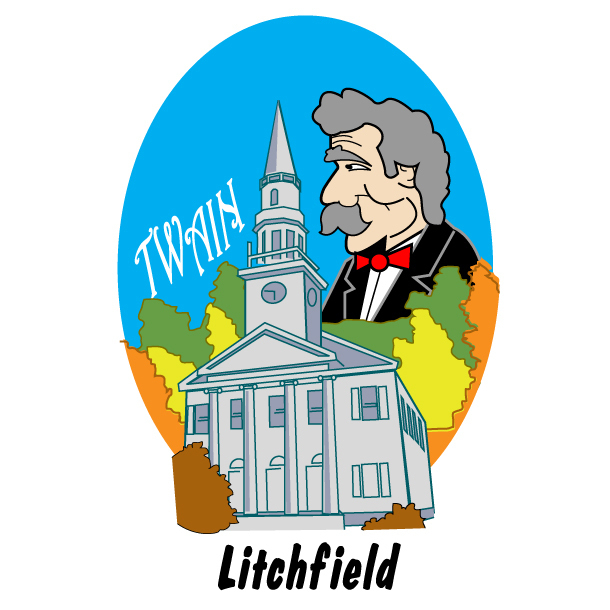 The town of Litchfield is often called “New England’s most beautiful town” and worth a special trip during your Northwest Connecticut vacations just to visit and admire the carefully preserved 18th and 19th century homes. The Congregational Church built in 1828 is the most photographed church in New England. The Litchfield History Museum, an intimate look at life in a small New England town directly after the American Revolution. The museum’s exhibits recapture Litchfield as a bustling commercial, political, and educational center. A short distance away and part of the museum complex is the Tapping Reeve House and Law School, which was the first law school in the U.S. The Mattatuck Museum located in Waterbury celebrates the rich heritage of the Waterbury and Litchfield region. Meander through a nineteenth century boarding house, a recreated seventeenth century house frame, and listen to workers talk about the demands of their jobs in a nineteenth century brass mill. You’ll find many of the items in the collections are from Northwest Connecticut, a testament to the richness of the skilled masters attracted to the area. Music Mountain at Canaan/Falls Village is a summer season music festival. The program runs from June-September, and includes chamber concerts, jazz performances, choral concerts, piano recitals, and special gala events. Founded in 1930 and now in its seventh decade you have the choice of seating in the air-conditioned Gordon Hall, or sitting out on the lawn soaking up wonderful music surrounded by nature. A unique experience make this a must event to visit while on Northwest Connecticut vacations. At Lime Rock Park in Lime Rock something’s rumbling. Is it a Grand Sport, or Sport Touring, or NASCAR? Well, the fact is… it doesn’t matter because if you’re a race car fan you like them all! From May to October each year the “rumbling center of the east” puts on race car events such as Rolex GT Series Challenge, NASCAR Busch East 200, and the American Le Mans New England Grand Prix. Fasten your seat belt, put your earplugs in, and get on over to Lime Rock. When the cold winter sweeps across Connecticut, skiers head to Mohawk Mountain Ski Area in Cornwall, one of Connecticut’s premier skiing resorts. A ski area since 1947 it offers snowmaking on 95% of runs, 24 trails for skiing and snowboarding, five chairlifts, night skiing, and cross-country skiing in the nearby State Forest. All-in-all a winter wonderland for your Northwest Connecticut vacations. 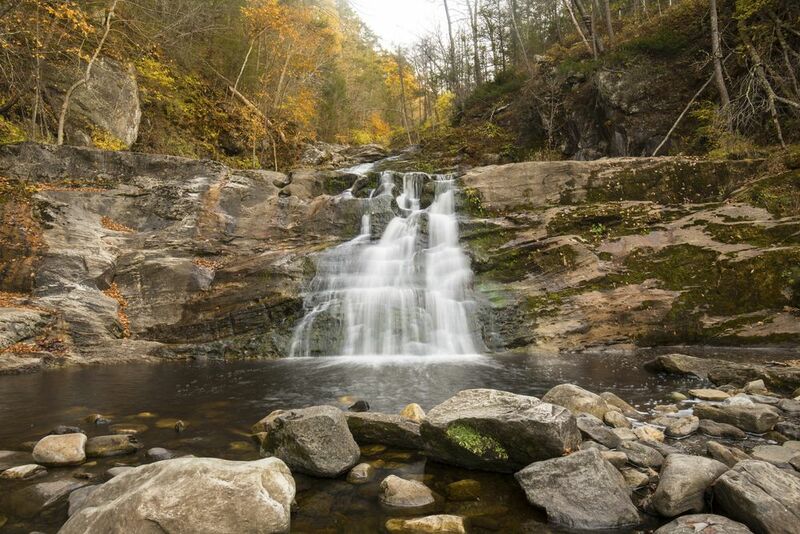 Northwest Connecticut and the Litchfield Hills offer inspiring scenic drives through the wooded forests and villages in the Housatonic River valley, and the area surrounding the town of Litchfield itself. 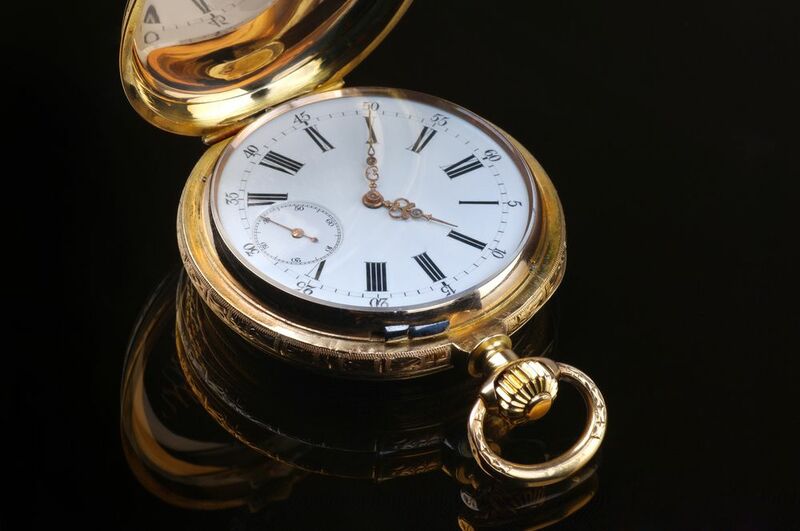 Allow plenty of time to browse the antique shops the region is famous for, and pick up that special Northwest Connecticut vacation purchase. The Connecticut Wine Trail has seven wineries in the Northwest Connecticut region. These are Mclaughlin in Sandy Hook, DiGrazia Vineyards in Brookfield, White Silo Farm and Winery at Sherman, Hopkins Vineyard in New Preston, Haight Vineyard and Winery right in Litchfield, Jerram Winery at New Hartford, and Land of Nod Winery in East Canaan. Connecticut has a wide variety of accommodations to suit all budgets and preferences and you’ll find the resource below will help you find the lodging that is best for you. To discover where to stay deals, and compare rates and amenities with a trusted and professional travel organization then check out Connecticut lodging and accommodations.